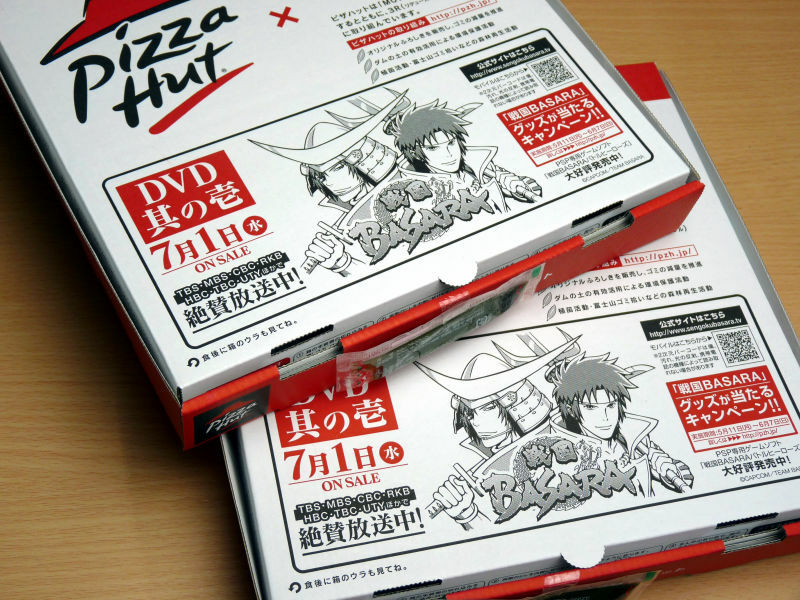 Pizza Hut Japan has started delivering pizzas in special boxes featuring characters from Sengoku BASARA, the wicked anime in which feudal samurai lords occasionally use English phrases like "Hey", "You see," "Understand?" 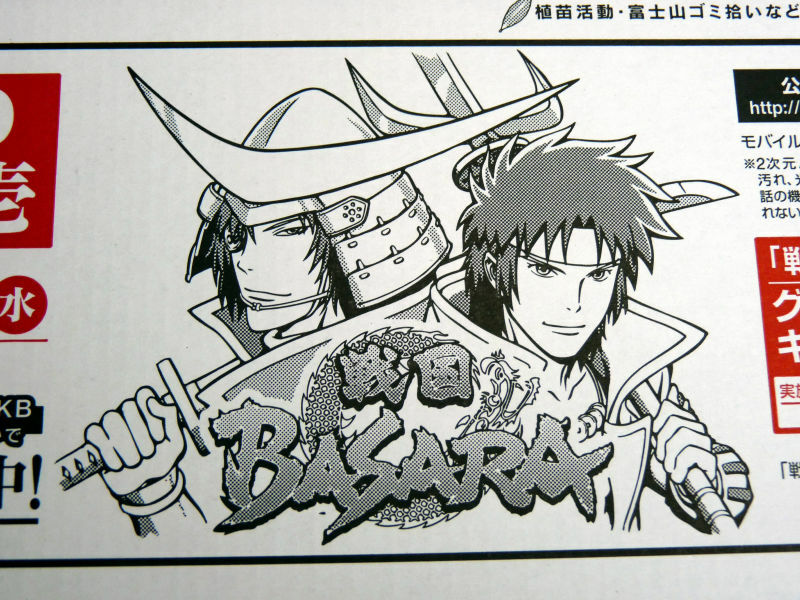 "Are you ready?" "Here we go!" and "Let's party!" 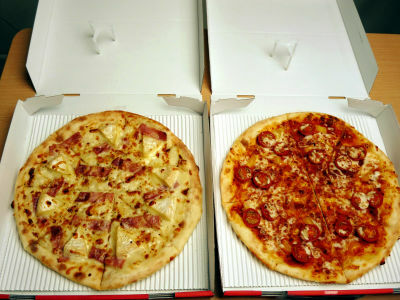 The campaign started on May 11th, so we ordered their new speciality "Garlic Tomato" and "Rich Camambert". The pizzas came in about 15 minutes after our order. Date Masamune(left) and Sanada Yukimura. 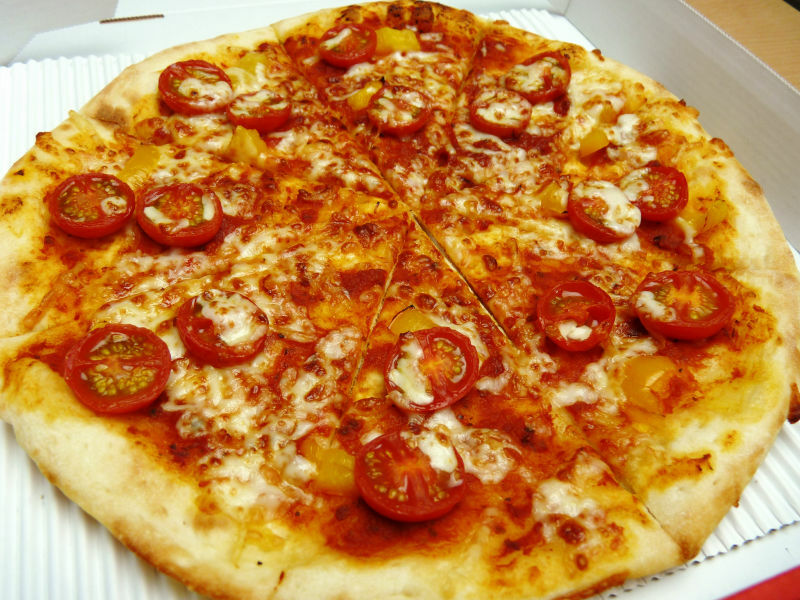 "Zeitaku Kamanbale(Rich Camambert)" 1,800 yen and "Garlic Tomato" 1,600 yen, both medium size. Pizza Hut is currently doing a "second pizza half-price" discount, so these two were 2,500 yen in total. 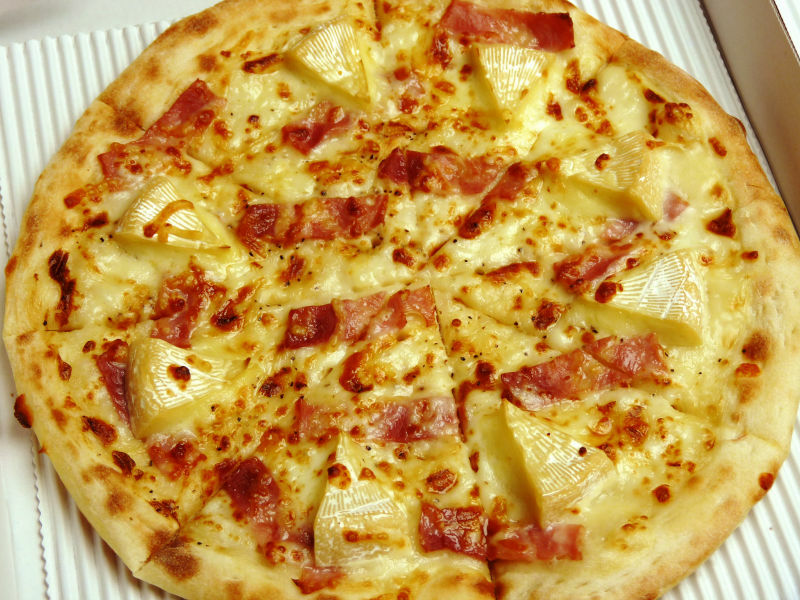 "Rich Camambert" with Danish Camambert cheese. Camambert, Camambert sauce, bacon and blackpepper. 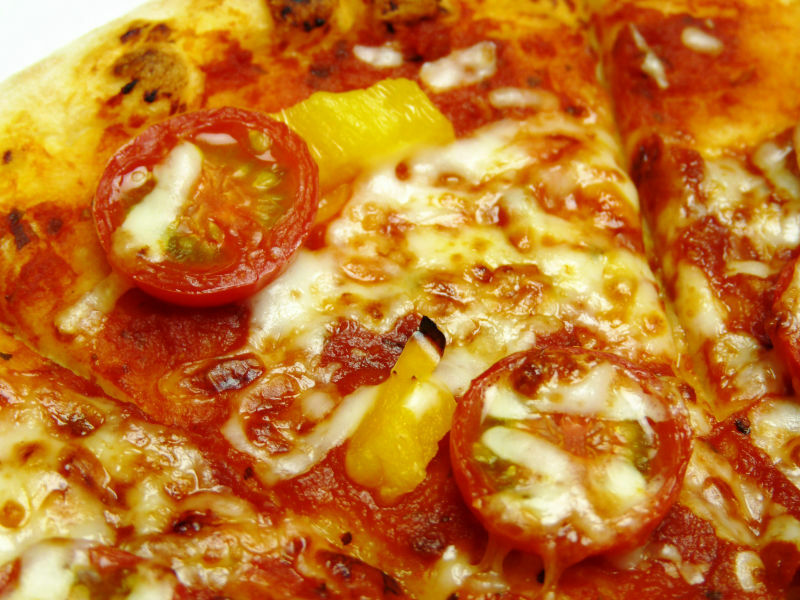 With garlic-tomato　sauce, cherry tomato, yellow pepper, garlic chips and basil. 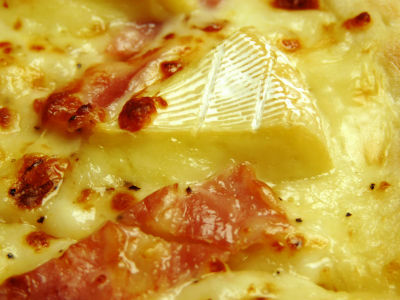 Two wallpapers offered for the members of Pizza Hut Club. 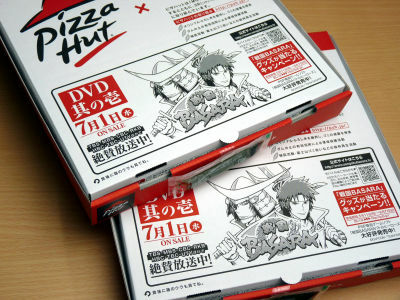 Eating pizza in Sengoku period?